Man you gotta let it loose on the weekend. After a tough week of downloading Smog records on the fastest torrent. Keeping everybody up-to-date on every hottie you see on campus via twitter and delivering hoagie sandwiches every evening, your tired and ready to get your drink on. 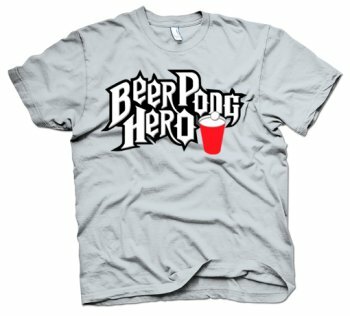 And nobody does the drinking game like you do the drinking game, especially beer pong. Celebrate your mastery of the sport, ney, art form.